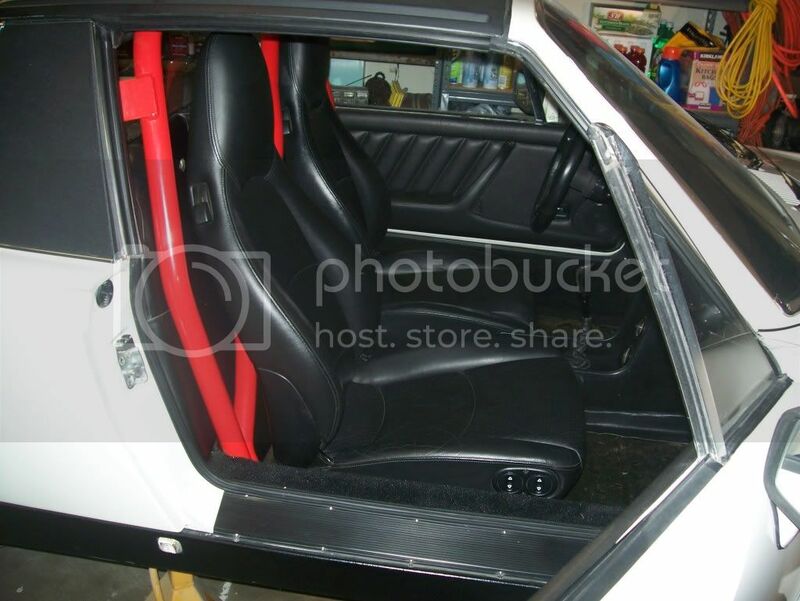 I just got through installing my 4 way power 993 seats in my '74 914. The seats are very wide though, and the driver's side would not install using the original handbrake handle and brake cable guide. Therefore, I had to remove the cable guide so the seat track could fit in and cut off the existing hand brake handle pivot. Here's how it's done. First locate the existing cable guide bracket and remove it. When all is done you can then drill new mounting holes for the tracks and run power to the 4 way switch (it is only a switched positive and a ground to each seat). Now I will need to fabricate a new hand brake mount between the seats, probably a 964 handle and some minor fabrication. If anyone has a black 964 handbrake assembly for sale please let me know.